Nigel G. Mitchell - Author, Blogger, Geek: Happy Towel Day 2014! 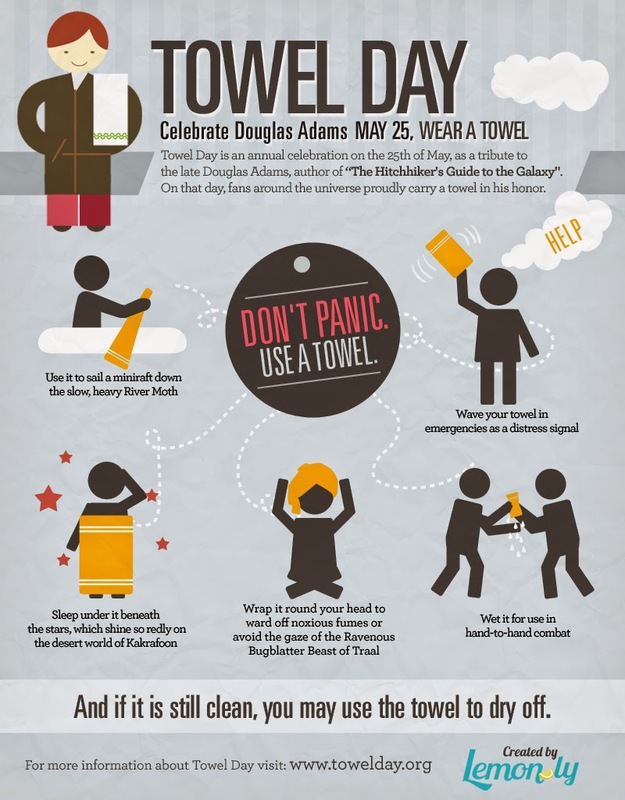 Today is Towel Day, a day to celebrate Douglas Adams and his work. I'm one of Adams' biggest fans, so here's a roundup of some of my Adams-related posts. My Hitchhikers Guide Novel: "Really Wild Things"
10 Surprising Facts About "Hitchhikers Guide to the Galaxy"